Anyone have any objections? Didn't think so. Porsche was clearly in no rush to launch a successor to its highly regarded 918 Spyder hypercar. As a plug-in hybrid, the 918 Spyder broke new barriers for the German automaker and it came at exactly the right time, just as Ferrari McLaren launched their own hybrid hypercars, the LaFerrari and P1, respectively. But a few years have gone by since 918 production ended, so now it’s time to starting seriously discussing what’s next. Fortunately, Porsche CEO Oliver Blume is ready to talk. We aren’t in the least bit surprised by this. The Taycan EV is set to officially roll out next September at the Frankfurt Motor Show while the production-spec Cross Turismo will come in 2021. The next-generation Macan, as we just learned, will also be a pure EV. Even the Cayenne could drop internal combustion when it’s due for a redesign in a few years’ time. 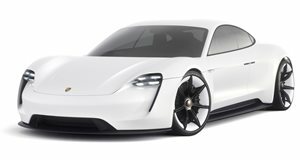 Given those are all mainstream vehicles for Porsche, wouldn’t it make sense for its next halo hypercar to represent the ultimate demonstration of Porsche’s electric drivetrain technology? Absolutely. And let’s not forget one key tidbit: Porsche’s 10 percent investment stake in Rimac, which just so happens to be the industry leader in advanced electrified drivetrains. Its new 1,914 hp C_Two hypercar is proof. When the investment was announced, Porsche said it hoped to enter a "close collaboration” with the Croatian carmaker in the future. The stars are all lining up. Porsche is also confident its customers are preparing themselves for an all-electric future due to already high Taycan demand. Around 20,000 customers have placed €2,500 deposits, hence Porsche’s decision to already increase production. We expect more EV hypercar details to come to light right around and immediately after the Taycan’s launch next fall.